I am an award-winning* editor and writer with considerable experience in consumer magazine publishing. In the past I edited Coast magazine for six years, was interim editor of the National Trust Magazine, deputy editor of The Sunday Times insideout magazine, and editor of Grand Designs Magazine. Currently I am homes and gardens editor of The Simple Things, commissioning and writing about homes, gardens as well as general lifestyle topics. I combine this with writing about British travel, interiors and crafts for a variety of publications including The Guardian, Homes & Antiques, Condé Nast Traveller, Country Homes and Interiors, and Enterprise Magazine, and writing blog posts for interiordesigners.net. I have also written the National Trust’s book of the Coast (now in its second edition); the National Trust’s guidebook to Brownsea Island; the NT’s guidebook to the Gower Peninsula, and the NT’s guidebook to Cornwall’s Tin Coast . I also wrote ‘Hidden Villages of Britain’ (Batsford), which was published in September 2017. In April 2019, my latest title ‘Beyond the Footpath: mindful walking for modern pilgrims‘, will be published by Piatkus. Details of all these books are on my Amazon author page. I am represented by Jane Graham Maw (jane@grahammawchristie.com) of literary agents Graham Maw Christie, who deals with my non-fiction books. The rest of my time is spent pottering about in the garden and writing a novel about the search for a missing hairdresser in post-punk Manchester in the 1980s. * Coast won the PPA Award for Specialist Consumer Magazine of the Year under my editorship in 2009, and I was shortlisted for four British Society of Magazine Editor awards. And shortlisted for the Visit England travel writer of the year award. April 2014 – present: homes and gardens editor, The Simple Things. Freelance writer and editor for a variety of publications. 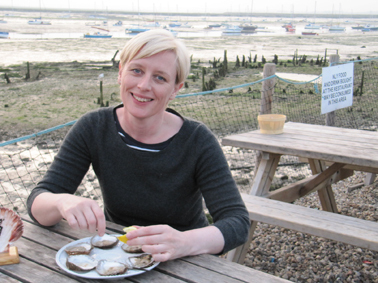 Author of books about the coast, the curious and the cosy.